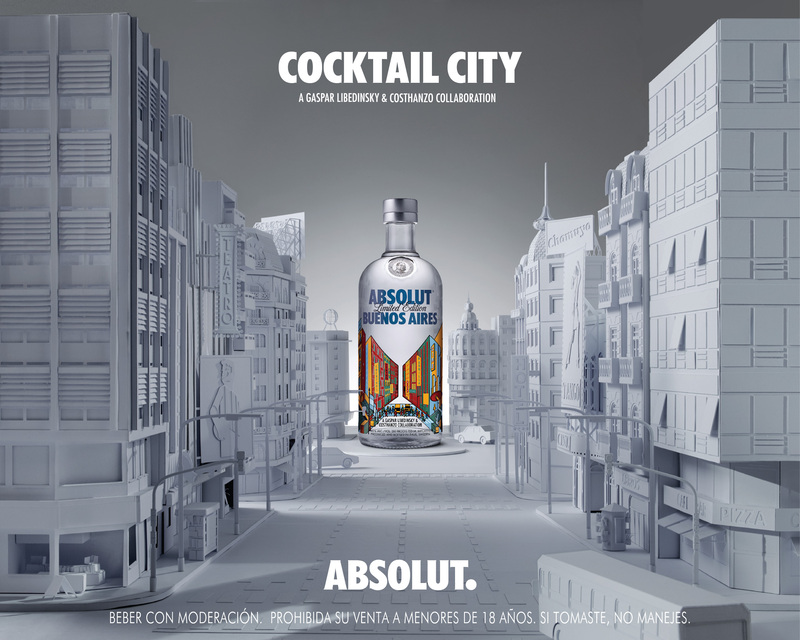 Absolut Argentina has launched “Cocktail City”, an integrated advertising campaign promoting Absolut Buenos Aires vodka, honouring the “porteño” sprit. Following the idea that Buenos Aires is such a young city, almost like a blank page, WTF? Agency and Pernod Ricard Argentina decided to make the set for this limited edition like a small Buenos Aires, with its most iconic buildings, cafes, theaters and avenues, completely in white paper. 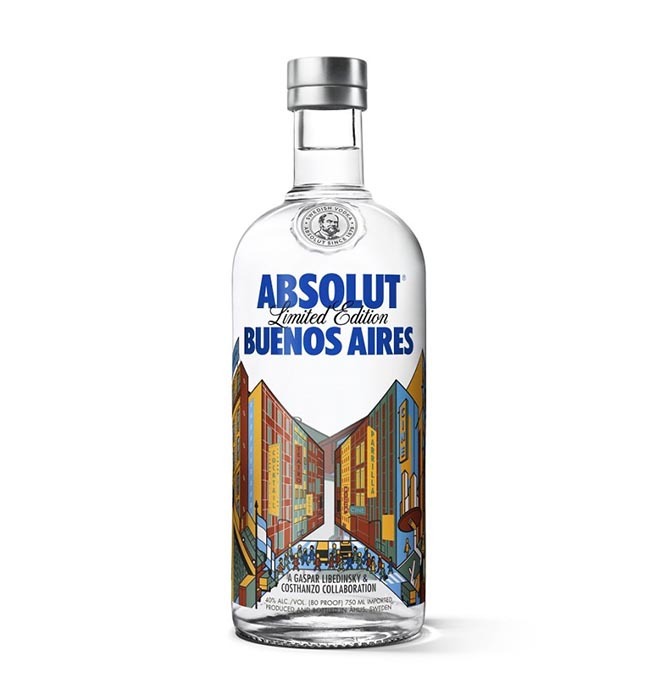 In the center and taking the place of the famous Obelisco is the bottle of Absolut Buenos Aires. 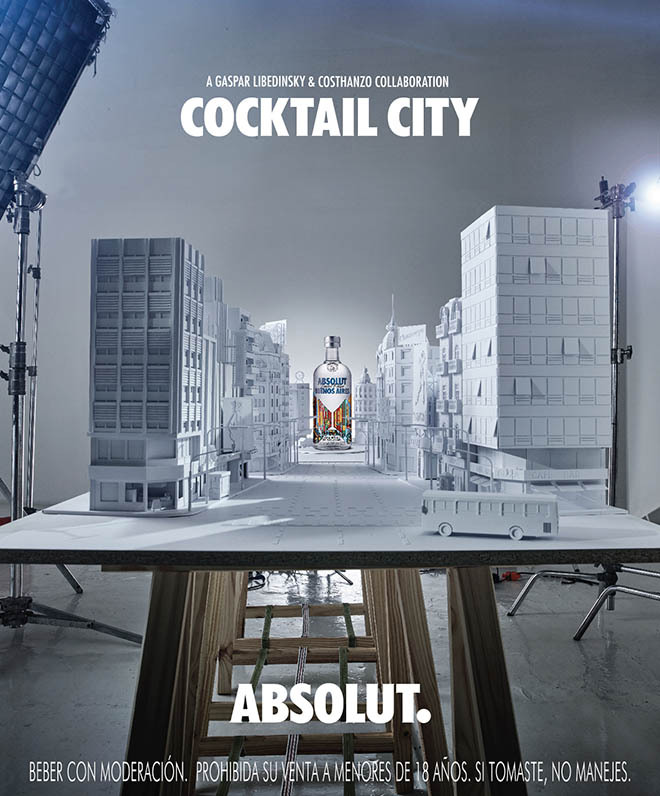 The Cocktail City campaign was developed at WTF? Agency, Buenos Aires, by creative director Wally Wallingre, art director Denise Reynoso Hunter and copywriter Edgardo Garboso. Photography and film work was by Juan Mathé and Wally Wallingre. The design limited edition is a the result of a collaboration between architect Gaspar Libedinsky and illustrator Costhanzo.